Fashion sets the rules of clothing today but in old times tradition was the authority. 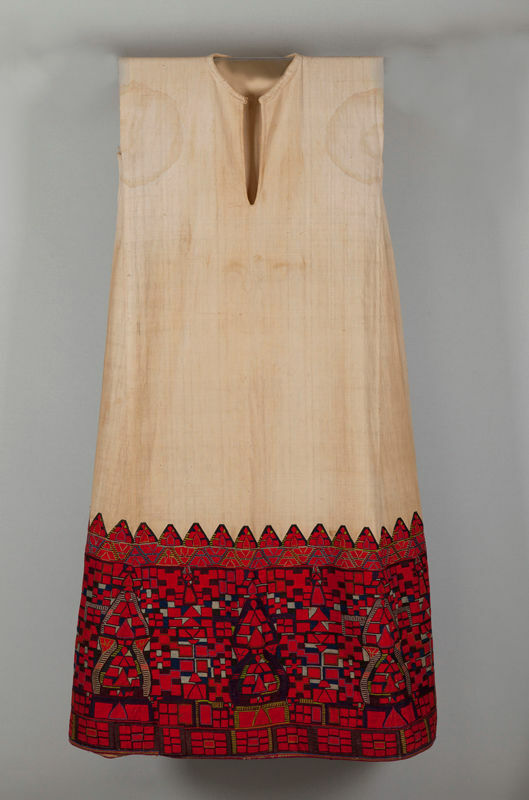 Women's apparel followed a particular pattern that was prevalent in the region, always in line with the morals of the era, of course, comfort and ergonomics played an important role. We will go back to earlier times and from region to region to see the clothes that were worn and although they did not stay in fashion they certainly remain in history. 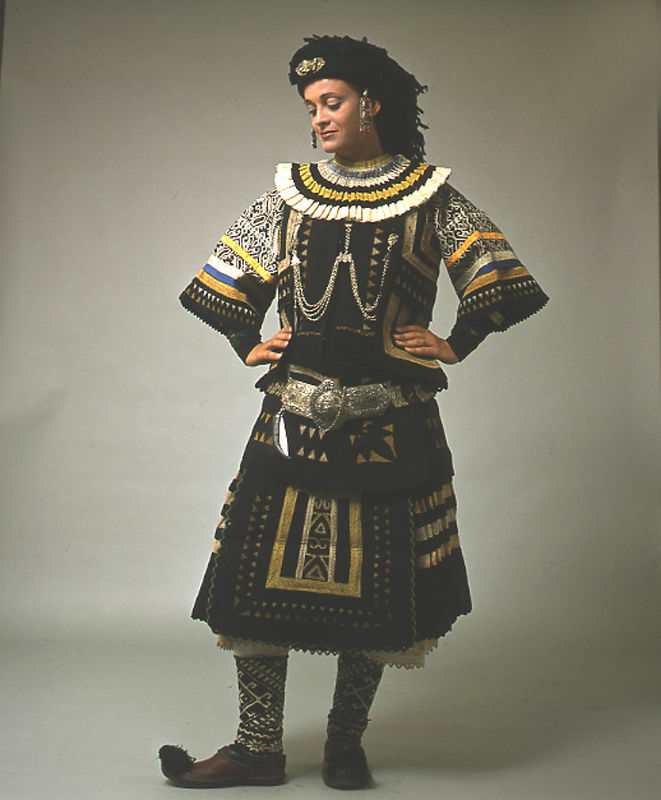 Otherwise Mesogitiki, this costume was worn in many villages of Mesogea, but also elsewhere. The Mesogitiki costume belongs to the costumes with the Sigouni (the woolen fabric that women have weaved and treated in the water to make it thick and solid) and is distinguished in the everyday, bridal and festive upper and lower social class costume. Their differences are found in embroidery and fabrics. The everyday costume consisted of the half-hat, the shirt, the tunic, the embroidered silhouette, the apron, the vest, the jeans, the tsempier, the scarf and the giourdie. The brides of the upper social class wore golden uniform with the silk and gold embroidered shirt. The bridal costume showed the groom's financial status, as both the shirt and the gold-sleeved jacket, as well as the headband with the goldsmiths, were gifts of the groom. The jewels of the chest and headband were downy and consisted of golden coins from both the groom and relatives, and even the bride itself. Women used to make their hair in two braids that fell on the back wearing on top the tsempier and then the floral handkerchief. It is the traditional costume that prevailed in the area of Elefsina during the past years. 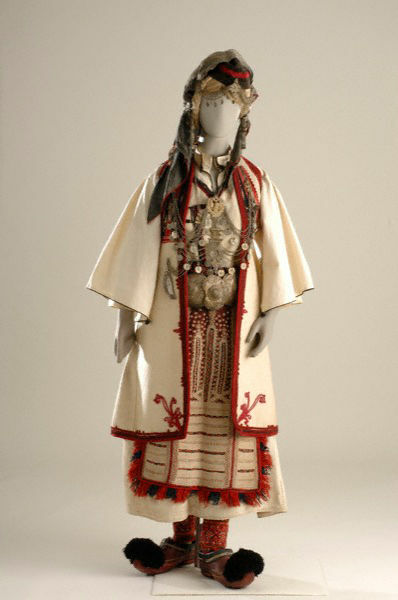 Apart from Elefsina, this costume was found in the surrounding villages. It looks quite like that of Attica, regarding its parts, but differences are found in the shirt and the embroidery, the jacket, the sigouna and the apron. In particular, the costumes consists of the half-hat, the shirt, the silk shirt with the sleeves, the jacket with the upper sleeves, the pants, the cravat, the bolero, the belt, the apron, the shoes and the socks. The headband has the braids, the pussula, the fez, the crown, the cap, the slips, the scarf, the tunic and the little stomper. Finally, the jewels that adorned the outfit were the knit, the small and the big yordant, the chain, the string, the chains, the bows, the crutches and the bracelets. It appears in many villages in Biotia. 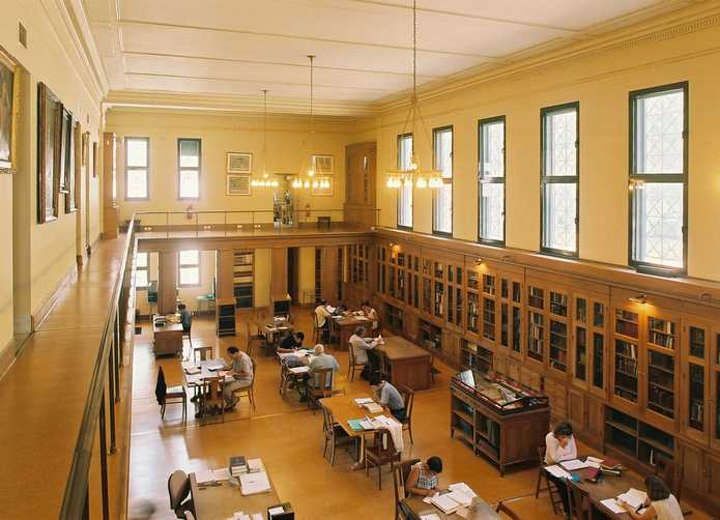 The colors of the designs are not intense and are characterized by austerity, while black and brown colors dominate. The costume consists of: the shirt, the pantomime, the tunic, the cervix, the seagull, the belt, the apron, the gourounotsatouha and the cudoures. For festive headband they had the fez, the slips, the tassels and the pessolas, while for everyday the tsempier. Regarding jewelery here we have the little yordant, the cheerleader, the great yordant, the chains and the bears with the plates. It is also known as the costume of Perahora and is characterized by the one of a kind embroidery unique throughout the Peloponnese and Sterea Hellas. The pieces that make up this outfit are the half-hat, the inner cotton shirt that had no embroidery. While the shirt was long, they called it short, because it did not have sleeves, the sleeves were added later when the lower sleeves were removed. The embroidery on the hem and sleeves differed depending on the occasion. It also had the dimino, the bridle that was holding the upper sleeves, and later both were removed from the costume. The cervix was a cotton woven fabric with silk embroidery that covered the chest, its embroidery are very special in a variety of colors and usually geometric motifs. Finally, the sivouni was white and long and woolen. This proud costume was worn in the 49 villages and the 9 provinces of the province, but is now worn only by the elderly. It often appears with the name caftan, because of the cauldron, which is a basic element of the costume. 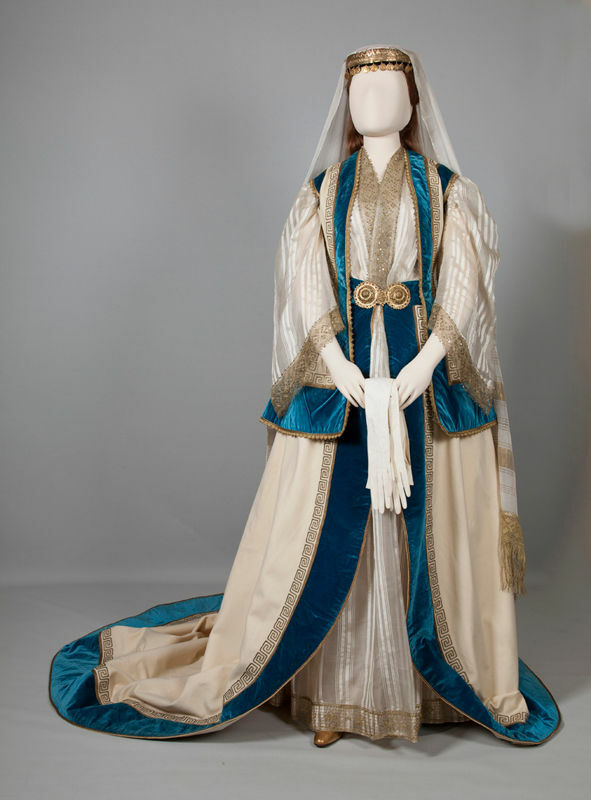 The main parts of the costume are the shirt, the half-shirt, the half-hat, the half-skirt, the dress, the caftan, the zuniari, the zuna, the apron, the tsarapia and the cantata. Their hair was braided in a phyllox, which they decorated with the carbons and tied the bumblebee and the mule, decorating with the parasols. In jewelery we come across chains with gold, silver or malamate pins, gerardi and burlli. 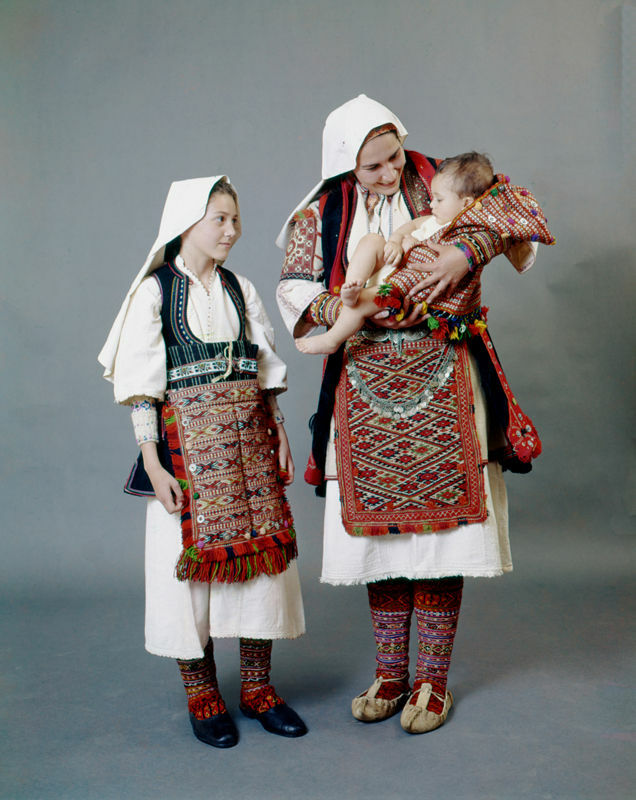 It has been worn in many variations and so we can distinguish eight individual costumes: the costume of Antartiki, the costume of Kladoraki, the costume of the villages of Lake Prespa, the costume of Triantafyllia villages, the old costume of Nymphaeus, the costume of the villages Drosopigi and Flambouro , the costume of the villages of Amynteo and the costume of the villages of Boufi and Rákovo. All the costumes feature the white wool silhouette and cotton shirt, while after 1930 they only wore by elderly women, now the silhouette and the apron became black. The costume of Antartiko is the only one remain intact and consists of the crowd, the cervix, the horseshoes, the shorts, the jingle, the gourd, the boots, the fucha, the resatska, the chalcedes, the tsarapia and the pigeons. In the daily headband there was the hut, while in the festive and bridal headband the red fez, the plentza, the dulpene and the naplitsi. The jewels that accompanied the outfit were the kiosk. the snakes, the gaffers, the shindiri and the big earrings. 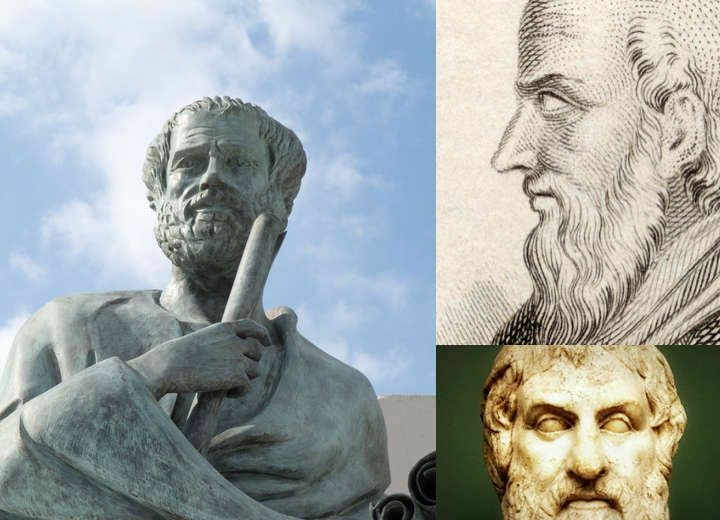 It can be distinguished in two types: one wore by the Sarakatsans from West Macedonia to the north Peloponnese and the other from Central Macedonia to Rodopi. The colors that characterize it are mainly black and white. 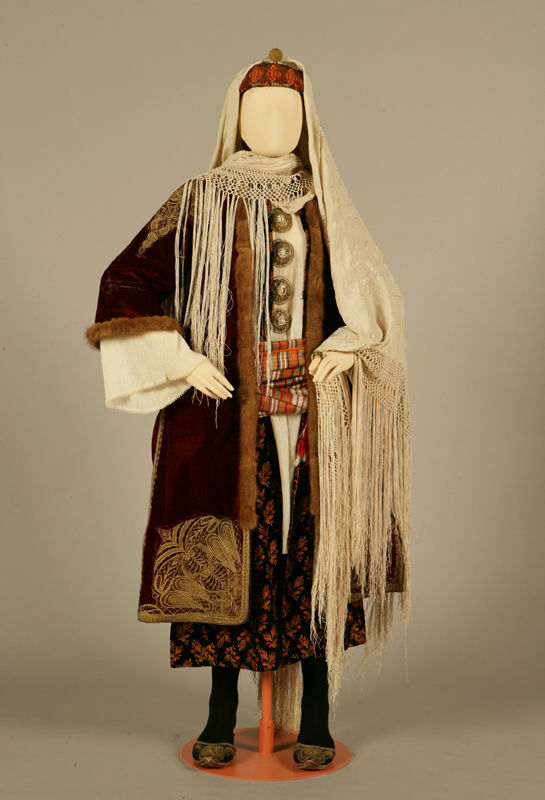 More generally, sarakatsani costume consists of the katasarki, the ordainer, the skirt with the body, the shirt, the xotrachilia or skirt or dress, a vest or sigouni or zostari or tsmantani the fstani, daily cape, the kozoki with hanging back sleeves, the kapi of the bride or the golden kontokopa, the bands, the velentzoula, the tsourapia and tread or treads. In the daily headband there was the scarf and the bobble. Previously, the bridal headband comprised of a fez, a pinstripe, a ruff and a balm. They held it with the carob. For jewelery there were the compotes, the tsarazzi, the double and the single kiouteki, the feminine, the silver-bean and the white beetle. 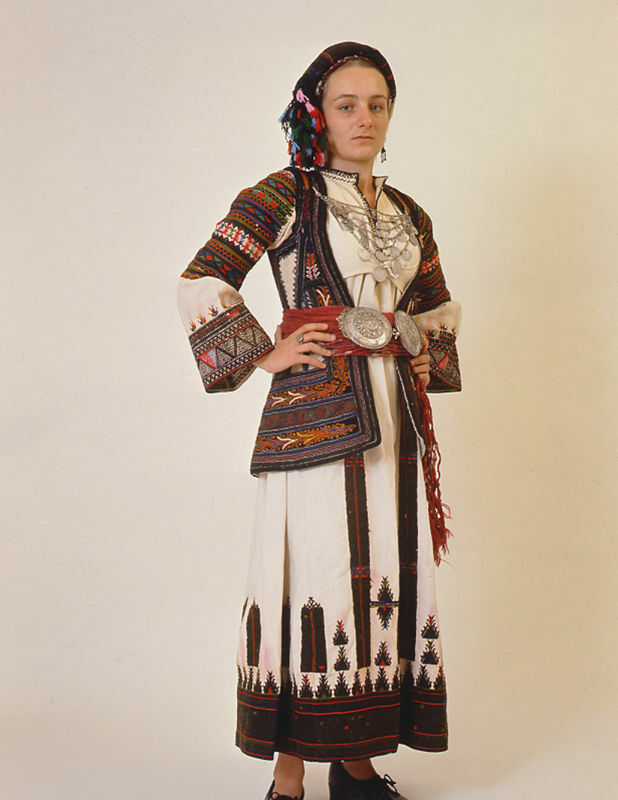 One of the most famous traditional costumes is the Karagouni costume, which is found in scattered Karagouni-villages, generally in the Thessaly plain, Karditsa and west, northwest outside Trikala and Kalambaka, as well as to the north to Tirnavos and Larissa. To the east it reaches Farsala and south to Domokos. 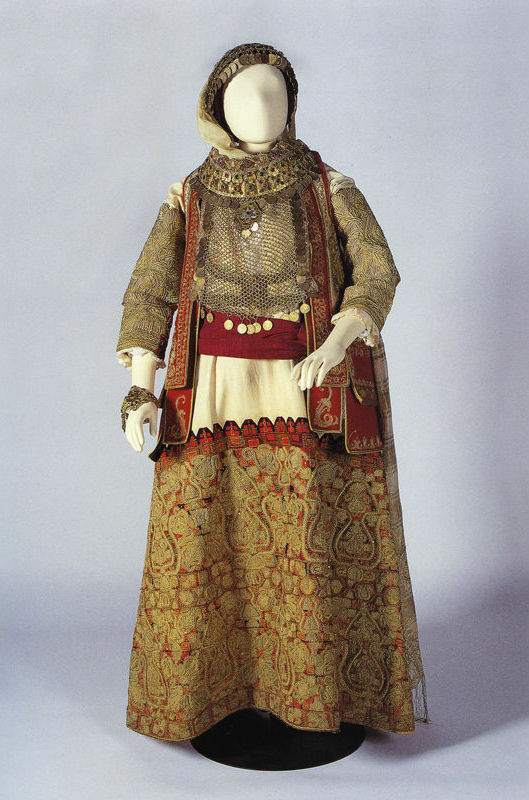 The Karagouni costume has three different variants in the area of the Thessalian plain. 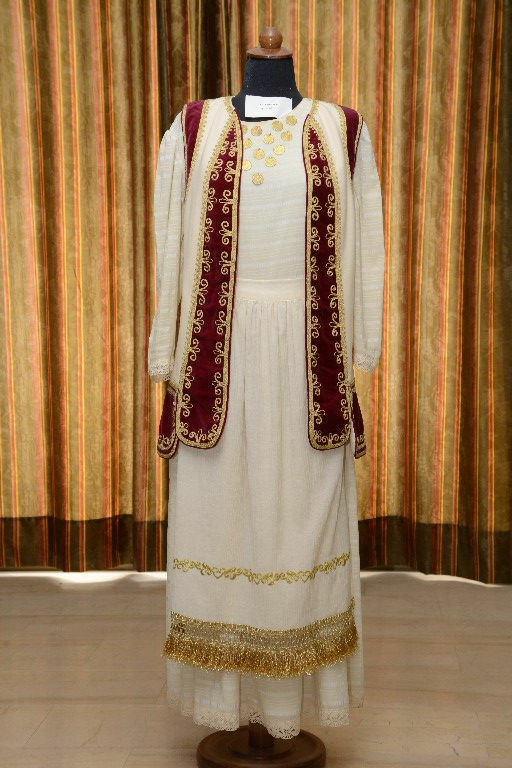 The costume of Karagouna from Sofades, Palamas and the surrounding villages, of Karditsa and Trikala and the costume of Agia Kyriaki and Megala Kalyvia. 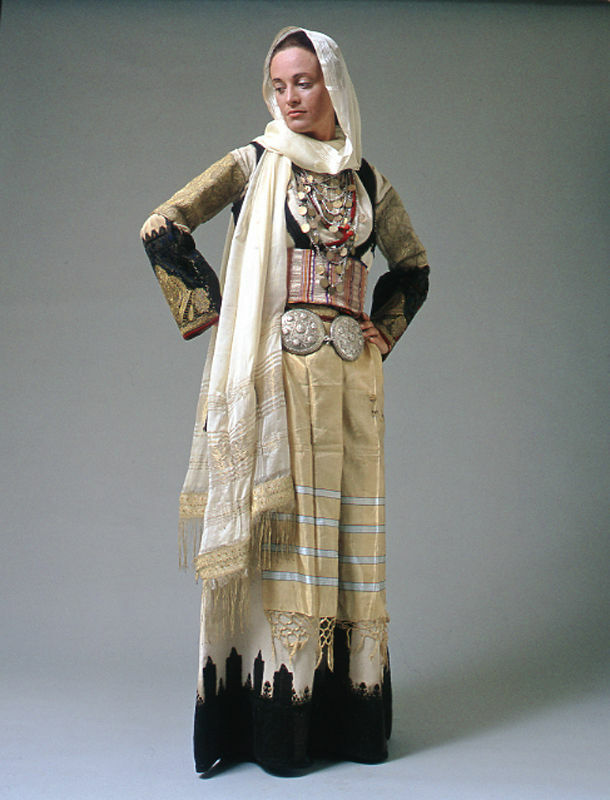 The female Karagouni costume consisted of the shirt with the handcuffs, the cervix, the shorts (Karditsa) or the chakushaia (Trikala) or the Kavadia (Sofades-Palamas), the Kavadomanika (Karditsa and Trikala) or Sigouni (Sofades and Palamas), flokatha (Karditsa and Trikala) or flokatos (Sofades and Palamas), the tsirepia and the ribbons. This is the bridal costume of the area, which the married women of the island used to wear in daily basis. The costume of girls who were not married was simple, following the bridal concept, but with cheap fabrics and no ornaments. It consists of a cotton shirt with sleeves, a short sleeve, in the middle a wide cotton vest and a cotton or woolen short jacket. The costume includes a wool shawl, while the girls did not wear shoes or socks. The costume of the girls is filled with the earrings, which had three golden pounds. The main parts of the bridal costume are: shorts, shirts, waistcoat or golden bag, zeppoi, the piece, the kontohi, the socks and the pashoumia. In the head they wore racine, chuck or cask and crepe. The costume was decorated with gold jewelery, such as dolls, strings, earrings, brooches, bracelets and rings. The beginning of the end of traditional costumes began in the liberated Greece as Otto and Amalia were the first to be interested in fashion. 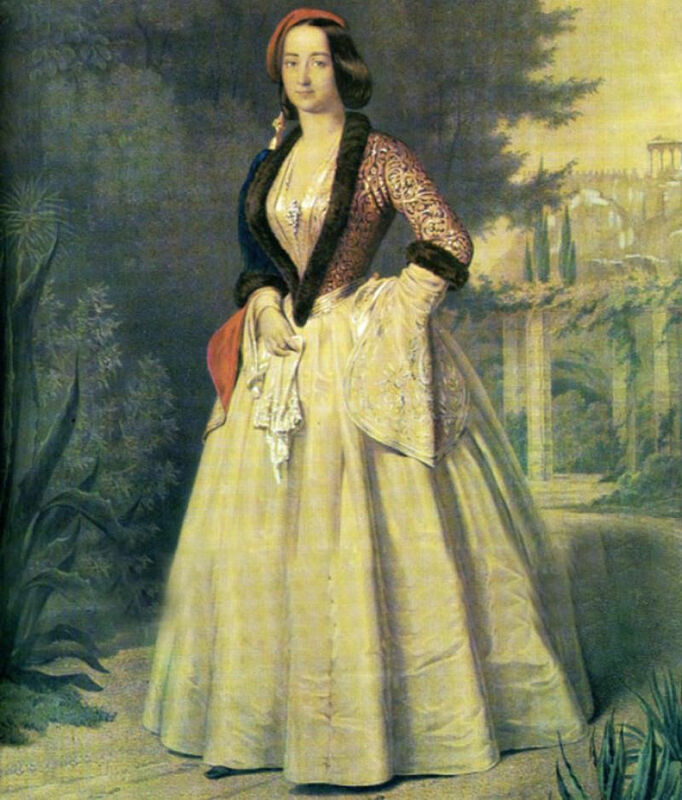 Amalia created a romantic dress for the royal court, which became the national Greek costume, still known as the Amalia dress. It follows the Biedermeier style, with a loose, white cotton or silk shirt, often decorated with lace on the neck and handcuffs. Over the dress is worn a rich embroidered jacket or vest, usually velvet in dark blue color. The skirt was up to the ankle and was of silk, usually in blue. The dress was complemented with a soft hat or fez with a long, golden silk tassel, traditionally worn by married women and sometimes with a black veil for the church. This dress became the common garment of all Christian women, both in the occupied and the liberated Balkan lands of the Ottoman Empire.